Injection molded in grey plastic. Two photo etched frets and a two part pre cut wood deck. You also get brass main and secondary guns barrels along with masts. 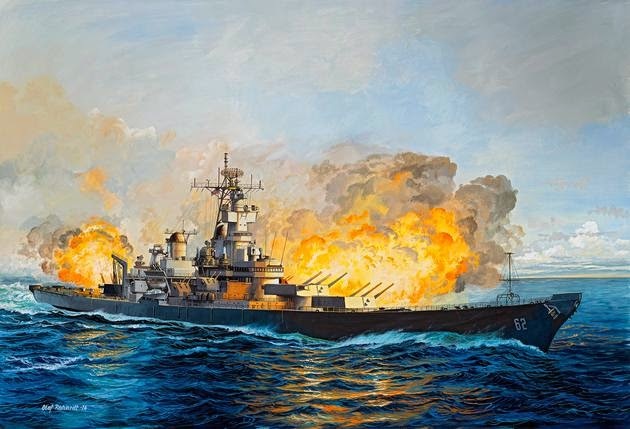 Usually, if you consider building an Iowa class battleship, the World War Two or the modern version, you will probably go with the Tamiya offering. Despite a few problems with the superstructure, overall these kits are nice and well detailed when compared with Revell's offering. The German manufacturer kit is also nice, but much less detailed and some parts look off scale. Now Revell released a new version of the kit trying to turn the table against Tamiya. The plastic is pretty much the same, but you get a lot of extras. 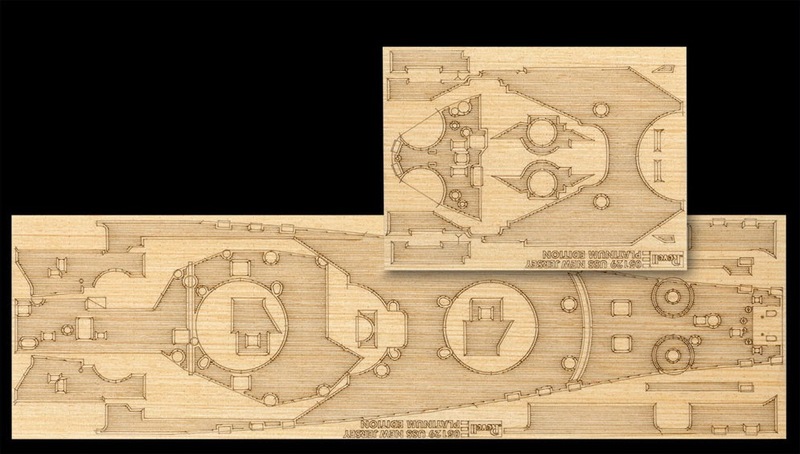 There are 2 sets of photo-etched parts, all the wood deck areas represented with nice self adhesive planking and brass metal main and auxiliary guns. This brings the total number of parts to 1375! You will end up with a lot of parts in your spare box and a very detailed Iowa class battleship. The price tag however grew a lot, much more expensive then Tamiya's New Jersey. 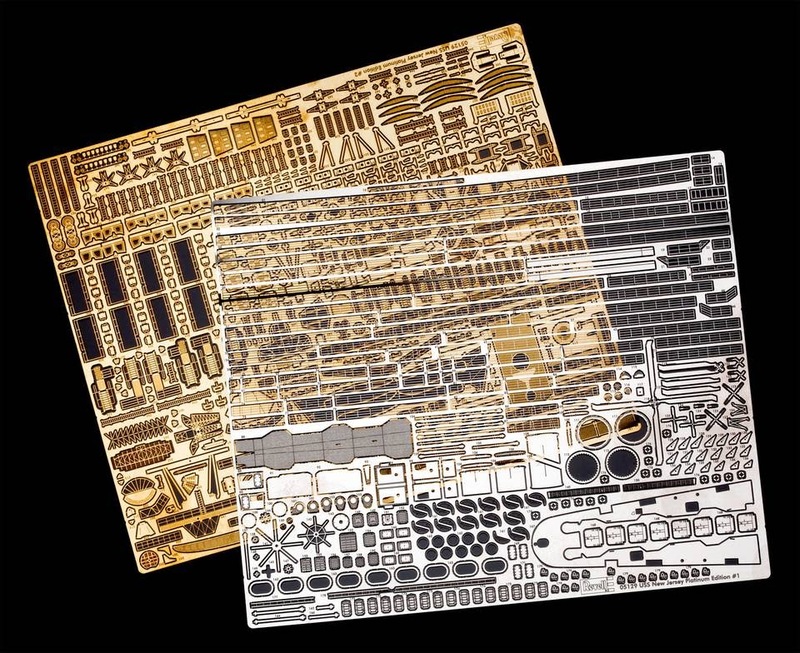 But, if you consider buying and the shipping for all these extras, getting them all in the same box may be a good choice for a super detailed warship project.